Ages: 11+ Recommended for Advanced Block based coders. Students can choose to build mobile apps with advanced block-based coding or learn advanced text based coding concepts. App Inventor is an advanced block-based platform allowing students to build mobile applications, which can uploaded to the Google Play Store. Students can also export their code to be downloaded onto any Android device. 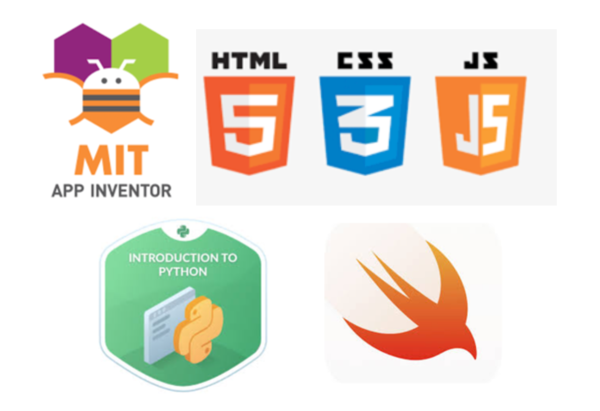 We have had a number of students who have built real-world applications and games with App Inventor. Python is a popular object oriented language, which is popular among kids for it’s simplicity and is a great language to start text-based coding. Students will learn advanced concepts and build their own games.